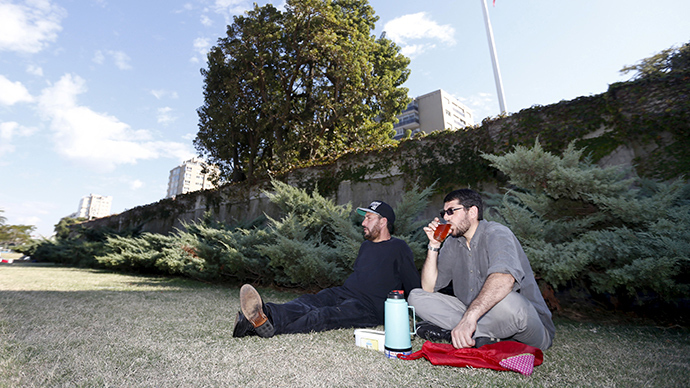 Four former Guantanamo prisoners have camped out outside the US Embassy in Montevideo, protesting the conditions of their Uruguayan asylum and demanding financial reparations from the American government. “I'm here in front of the US embassy because when I was in Guantanamo I spoke to the Americans and I asked to be sent to my country but they said ‘no’. The only option was to come here to Uruguay,” Abdul Bin Muhammad Abbas Ouerghi, protesting ex-Guantanamo prisoner, told RT’s Ruptly video agency. “But then I came here (to Uruguay), I have no means, no house, my family is not here,” Ouerghi said, explaining his aspiration to talk directly to the US authorities. Six inmates, who spent over a decade at GITMO without charge, arrived in Uruguay in early 2015 on invitation from the then-President Jose Mujica. The four Syrians, one Tunisian and one Palestinian were promised free private housing until February 2016 and a monthly stipend of $600 by the Uruguayan authorities. The men started their protest in front of the US embassy on April 24, living in small tents and spending nights in sleeping bags. The camp was set after Uruguay’s foreign minister, Rodolfo Nin Novoa, warned that prisoners turned refugees will be denied accommodation and allowance if they don’t sign a relevant document, regulating their stay in the country. The document has so far only been signed by one of the arriving ex-prisoners. According to Nin Novoa, there has been a misunderstanding between the Uruguayan authorities and former inmates as “they thought the agreement would be for three years when it's really for one year,” AP reported. “I'm really grateful to the Uruguayan government because they brought me here. But now I want to talk to the US government because they sent me here with nothing, no information, nothing," Ouerghi said. The protesters – Abd al-Hadi Omar Mahmoud Faraj, Ali al-Shaaban, Abdul Bin Muhammad Abbas Ouerghi and Mohammed Tahamatan – demand financial reparations from the US government, which kept them in prison for alleged Al-Qaeda ties. 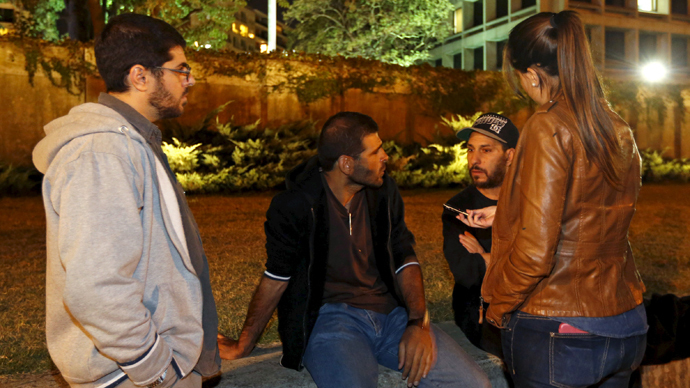 With the US Embassy not reacting to the camp in any way, the ex-inmates said that they won’t leave until they talk to the American ambassador to Uruguay. Tabare Vazquez, who became Uruguayan president in March, also said that the Washington should help his government to provide for the former prisoners. On Monday, Nin Novoa promised the Foreign Ministry would assist the protestors by writing a letter to the US government, in which their complaints and demands will be set out.